Double ended, self locking parting blades. Caution: Safe blade extension outside the holder is dependent on various factors which include machine rigidity and the material being machined. Extending the blade beyond the number 2 (which represents approx. 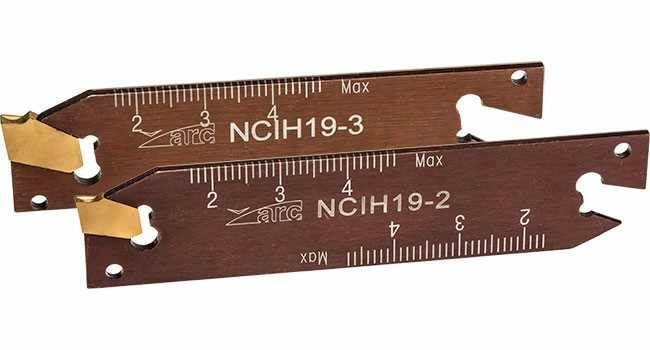 2cm in from the cutting edge) on the scale increases the risk of vibration and tool breakage.